Bonneville Communities that Care (BCTC) is a coalition of community members from four cities in Utah- Uintah, Washington Terrace, South Ogden and Riverdale. Individuals from government, law enforcement, education, local business, healthcare, volunteer and social service groups, youth-serving organizations, parents, and youth are working together to create a brighter future for both the community and the youth in the Bonneville Cone (all schools that feed into Bonneville High School) area. We are working at the local level to: • Determine the biggest risks facing our youth that lead to problem behaviors such as substance abuse, delinquency, violence and teen pregnancy • Determine what programs already exist in our community to address those risks and where there may be gaps • Find programs that have been shown to be effective to fill those gaps. Together, we are investing in our best asset- our youth, creating a brighter future for us all. Communities That Care guides communities through an evidence-based five-phase process. Using prevention science as its base, CTC promotes healthy youth development, improves youth outcomes, and reduces problem behaviors. The Community Youth Development Study reports youths from CTC communities were 25% to 33% less likely to have health and behavior problems than youths from control communities. Proven ResultsCommunities That Care was tested in a randomized controlled trial. 24 communities across 7 states were matched in pairs within state and randomly assigned to either receive CTC or serve as control communities. In this trial, a panel of 4407 students from CTC and control communities was followed and surveyed annually from Grade 5. By the spring of Grade 8, significantly fewer of the panel students from the CTC communities had health and behavior problems than those from the control communities. Our Coalition covers the Bonneville High School Cone area. This includes all Elementary and Junior High Schools that feed into Bonneville High. 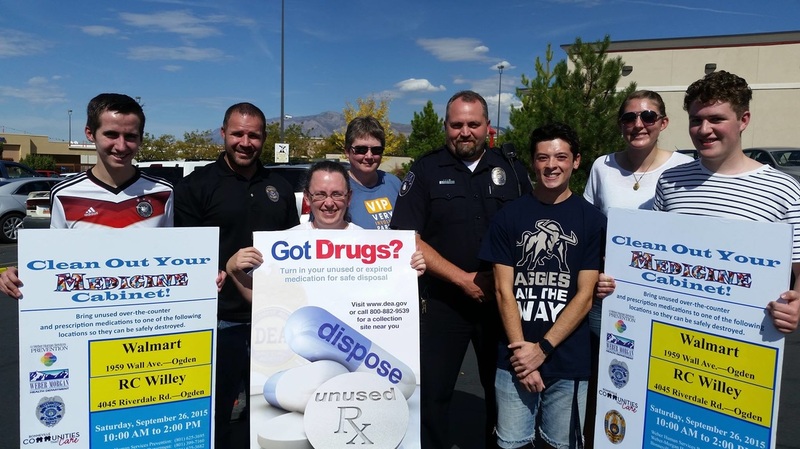 We are working to prevent underage drinking and substance misuse in our communities.